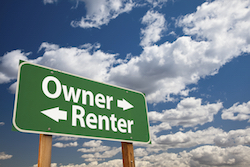 Renting vs. Owning: Which is Right for You? Of course, buying a home is a major financial investment, and should only be made when you’re truly ready. If you’re not ready for that kind of commitment, however, renting provides an excellent alternative – especially when you rent from Springs Apartments. To learn more about our various apartment communities and their amenities, please check out our online location finder or contact a leasing team member today!